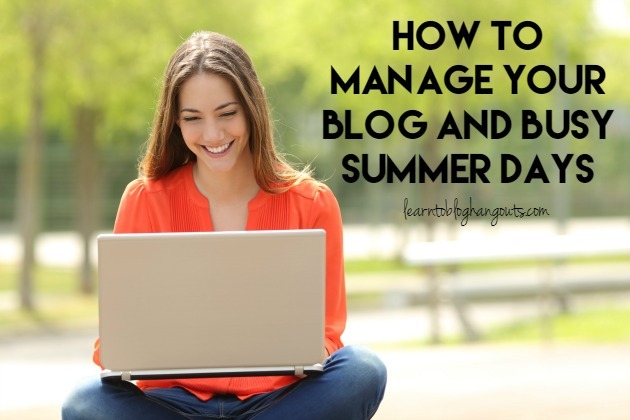 Managing your blog during busy summer days can be both stressful and overwhelming. Kelli & Crystal came up with this topic based on their real life struggles. Then, the question was asked on the Learn to Blog Facebook page. The summer’s biggest struggles are: time and content. Kelli writes about homeschooling and things teachers want. These may not be needed in the summer. Traffic can change during the summer because your readers are spending time with their families and less time reading blogs. Think about what you can do over the summer to keep your traffic up. Repeat what worked by looking in Google Analytics and Webmaster Tools. 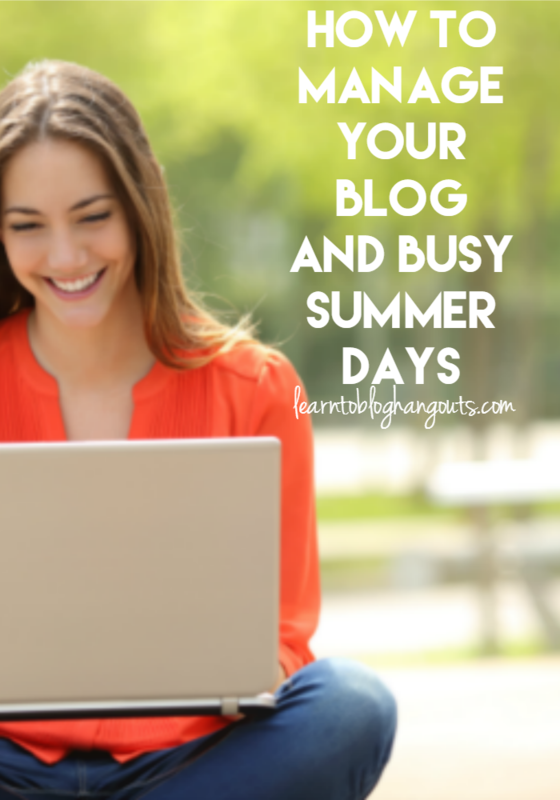 If you are just starting to blog, then think about what YOU need this summer and write about those things. Have a plan…that’s realistic and going to keep you happy. What is bringing me results? Create that type of content again and again. We may have vacations planned and kids may be home all day. During the school year, we used to be able to wake up before/stay up after kids were sleep. Crystal’s tip is to get 2-3 hrs of work done in 1-1.5 hours without family distractions. You can wake up before, stay up after, do both, or work during nap time. Even 10-15 minute chunks can be effective. If it’s an hour, make sure it’s spent working. Ask yourself what absolutely must be accomplished this summer – every day and every week. Finish your priorities. Don’t get sucked into or sidetracked by social media or games. Set a timer (like the quad timer that they recommend). Instead of reading about your friends are doing, use our social media time to get traffic. Join and participate in Facebook Groups that can help you get traffic. Repin from the source (pinterest.com/source/yourblog.com). See what’s doing well from your blog. Then, use a Pinterest scheduler to build off of that momentum. Get together with a group and do the same for each other. If Webmaster Tools shows you’re getting traffic for a particular keyword, create another post on that topic. Link to posts you’ve written on the topic and search for links from others on the same topic to create a roundup post. Post a message on a Facebook Group or in your tribe that you’re looking for links on a particular topic. Within a few days, you’ve got everything you need to create a roundup post. Spend 5 minutes a day going through each Facebook Group to see where you can submit your links or request links from others. Find ways to work with other bloggers to work together swapping links, creating guest posts, etc. If you have a limited amount of time to create content, share your real life in the summer and relate it to your blog content and audience (i.e. sharing one photo and a story vs. a perfectly written 500 word post with 5 beautifully stylized pictures). Use photos from your phone, share books you’re reading, and include Amazon links. 1. Share one new idea + links to other posts you’ve published to create a roundup. This was Crystal’s advice to keep it simple. Make sure you follow the blog post template: 150 words introduction, link to keyword, tag, category, or landing page (using anchor text), and share 5 links of older content. You need to create roundups to remind old readers of the content you posted before or introduce the new readers to your content. You can create a roundup of links from your site with 5 posts . If you are creating a roundup from others’ content, aim for 20-30 links. But, don’t let rules keep you from posting something. 2. Take one idea and create multiple posts from it. This was Kelli’s advice because in the same amount of time you would spend on one post, you can create multiples. Use a post template. Sit down once and create 10 different printables (or other type of content). Share one in each post (x 10). Then, create a roundup post linking to all of them. 3. Create shorter content. If you normally publish 1,000 word posts, start dividing into three posts making a series. Readers don’t have as much time and you can stretch out your content to create a series during the summer. We also talked about this in the Summer Blogging Tips hangout and how Eat at Home Cooks does this. 4. Publish a “weekend reading” or a “links I love” post. Create a post sharing five things you read this week. Share links to those posts and explain how they’re helping you. Could you do that with 5 friends and each of you sharing each other’s posts? Work smarter, not harder! Setup auto populated feeds where your blog auto posts to Twitter, Google+, etc. This keeps you active and in people’s minds and is just through the summer. Check Google Analytics and see what’s doing well. Create more content like that because your readers like it. Check Webmaster Tools and see what’s doing well, duplicate that success, and create more like that. Create a post sharing items that you’re using this summer (i.e. when we go to the pool, we take this floatie, this sunscreen, my kids have these bathing suits, and here’s why, link to items on Amazon). Don’t make this so hard! If you are struggling to come up with topics, go to Pinterest. Check the most popular pins on Pinterest (of others’). 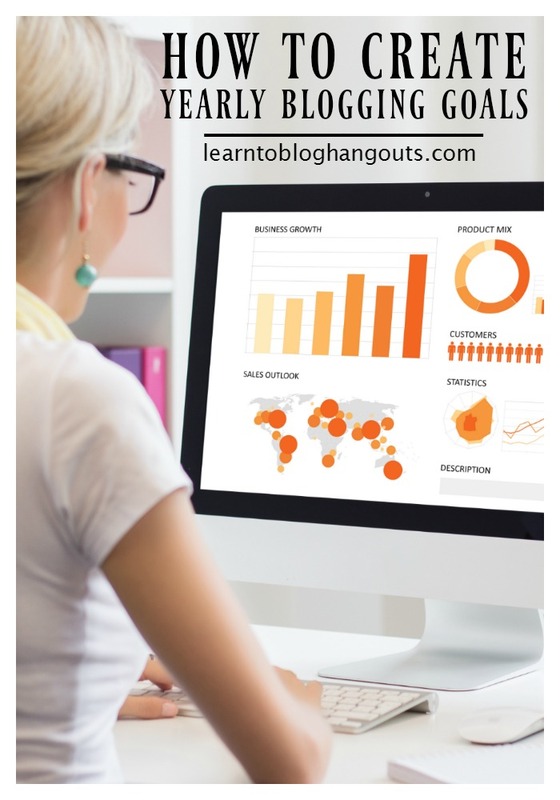 Recreate that type of content for your blog and pin it. Pinterest generates quick traffic and gives you ideas. Don’t worry that you’re being a copycat because everything has been said and done before. You just need to put your spin on it. For hot topics, check social media for trending searches/topics in your niche. Put your work area in a common area of your home to stay aware of younger kids’ activities. Her husband is at work and Crystal is there alone with the kids. Put your work area outside of the common area if older kids are more self-sufficient. Her husband is home during the summer (because he’s a teacher). She wakes up before everyone else and works. Then, when they get up, she fixes breakfast, runs errands, family time, etc. Then, she works again around lunch time and continues same pattern throughout the day. Consider what works best for you and your family. Maybe you can work for an extended time in a common area or maybe you need to move to a private area for short bursts of time (20 min or 1 hr). Trade time with a friend or family member. Use the time wisely (if you have 4 hour block of time, you need to be able to get a week’s worth of work done in that period of time). Once a week, go to a fast food restaurant, get a treat, and they play while you work. Have a play date swap once a week. Keep a notepad with you, write them down. Use your phone to keep track of ideas (record a note, type in a note, call home and leave yourself a message). Maybe you have to scale back to 3 posts a week. Amplify that message as much as possible – Twitter, Facebook, Pinterest, Google+, etc. Ask others to share your content, too (like suggested above). Dana White of A Slob Comes Clean features other during the summer. Maybe you reach out to other bloggers and ask them to send you 5 links to their content, introduce them to your readers. At 54:38, you don’t want to miss Crystal’s words of encouragement.